Your mind is the only thing that is keeping you from believing you can do anything. It doesn’t matter how the world views you. The only thing that matters is what you believe you can do. Wow. Makes you think. God has wonderfully made each and every one of us and He’s a great teacher, so that explains why He’s so quiet. He’s giving us time to figure things out 😀 Sometimes I wish the tests weren’t so hard. Sometimes I wish I wouldn’t second guess my answer. Sometimes I wish He just wouldn’t ask me the hard questions! This reminds me of Katie’s daily thanksgiving journal she is doing. It’s a good reminder for me to remember that I really AM blessed and highly favored. Yep. That’s right. Trust Him! One year ago today I received a phone call that would forever change my life. Today is my father’s Heaven Day. I miss him so very much, and little did I know that he would be one of five people in my life that would make their Heavenly journey last year. This saying is one that has gotten me through a lot. My father was my spiritual inspiration – whenever I had a question about the Bible, he had the answer that made me understand. I miss our Sunday morning chats more than anything. His photo is framed by this saying, if you’d like to get this frame also, it’s at Christianbook.com. Little I knew that morning, God was going to call your name, in life we loved you dearly, in death we do the same. It broke our hearts to lose you, you did not go alone, for part of me went with you, the day God called you home. You left us beautiful memories, your love is still our guide, and though we cannot see you, you are always by our side. Our family chain is broken, and nothing seems the same, but as God calls us one by one, the chain will link again. That last sentence is the one that really makes me smile. I will see my father, along with my mother-in-law, my childhood friend, one of my favorite customers and a dear business friend again when it’s my time. What sayings get you through your toughest days? 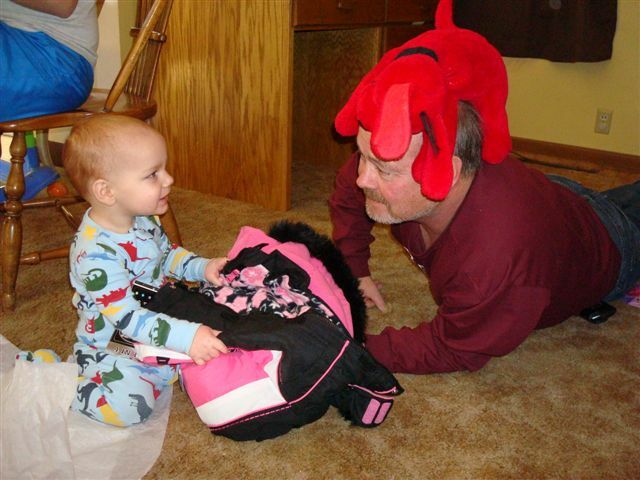 Dad’s fun side – he was a fun Papa to the grandkids and my kids miss him so much. 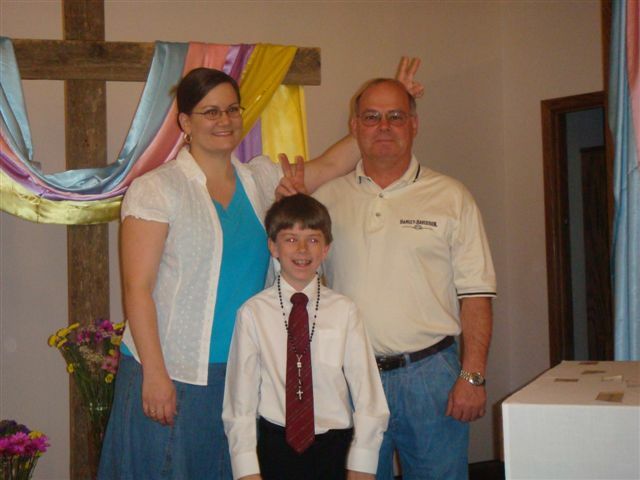 And Dad and his bunny ears, I had to get him back for once. My dad and I are Godparents to my cousin, his nephew, Mitch. 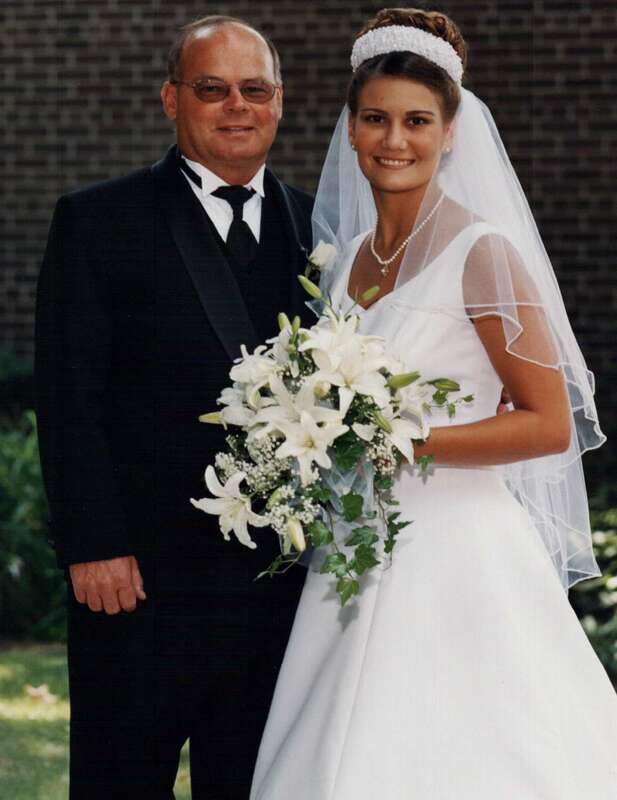 Thanks for letting me post a few pics of Dad. It’s hard to look at these lately, but will be such a treasure years down the road.